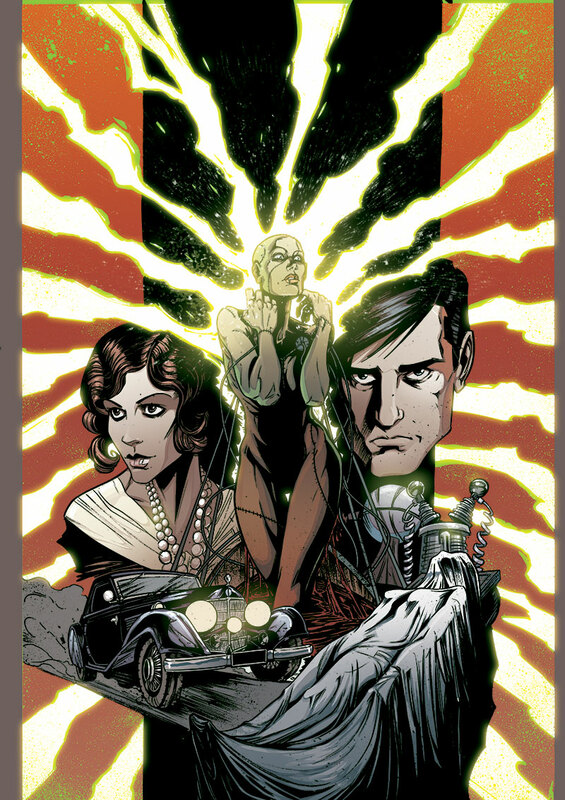 Sure to send a shiver down any reader’s spine, Image Comics’ new series MADAME FRANKENSTEIN is an all-new vintage-style horror drama from Jamie S. Rich (You Have Killed Me) and newcomer Megan Levens. In 1932, Vincent Krall sets out to create his perfect woman by reanimating the corpse of his recently deceased lover. But he soon begins to realize that perhaps man was not meant to peer beyond the veil between life and death. The time period and setting also helped to inspire the artwork in MADAME FRANKENSTEIN. “I've always been strongly drawn to the moody, old-Hollywood glamour of the classic Universal monster films, and I felt that aesthetic would be a perfect match for the elements of horror and romance in this story,” said Levens. “The period of the early 1930s gave me so much to work with visually, as the architecture, costumes, and even minute details like glassware and wallpaper helped ground the fantastic elements of the story in a reality that still feels a bit removed from the world of the reader. But the aspect of those films that appealed most to me was that they derived their sense of horror from the emotions of the characters. Even the monsters were shown feeling fear, love, and loneliness… and a monster you can empathize with is perhaps the most terrifying of all." A dark exploration of one man’s manic obsession to build the perfect woman, MADAME FRANKENSTEIN is a terrifying retelling that would do Shelley proud. The first issue of MADAME FRANKENSTEIN arrives in stores on 5/7 and will be available for $2.99. Cover A by Joelle Jones and Nick Filardi can be pre-ordered using Diamond Code MAR140478. Cover B by Christopher Mitten can be pre-ordered using Diamond Code MAR140479.